Egg mask and iced water can be used to make eyes feel fresh. Eat foods such as carrots and spinach to make your eyes beautiful. 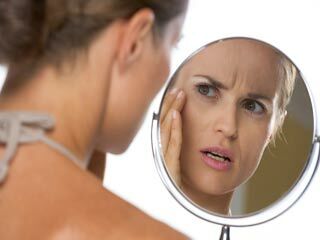 Whenever possible, avoid that makeup and masks of foundation. 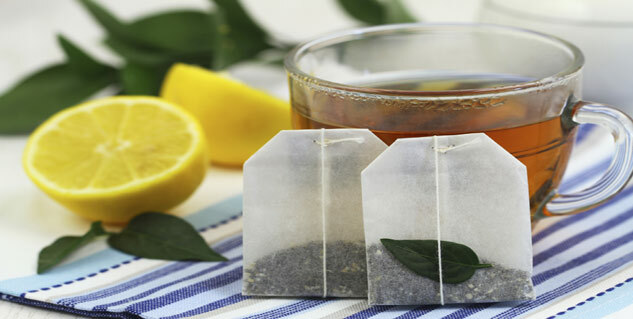 Green tea bag helps reduce inflammation to keep your eyes bright. Have your eyes lost their natural beauty? Tired eyes are a sign of stress and fatigue. It makes you older. The culprit could be anything – too little sleep, stress and who knows what else. For one reason or another, you’ll wake up with tired eyes. Rather than checking out the beauty and personal care section at the supermarket, you can turn to natural beauty tips for eyes to get beautiful eyes naturally. There are certain beauty tips for eyes that can create a naturally beautiful look i.e. sans make-up and all the expensive beauty products. Your eyes say a lot about how you feel. Is ‘how to get beautiful eyes’ the question on your mind? 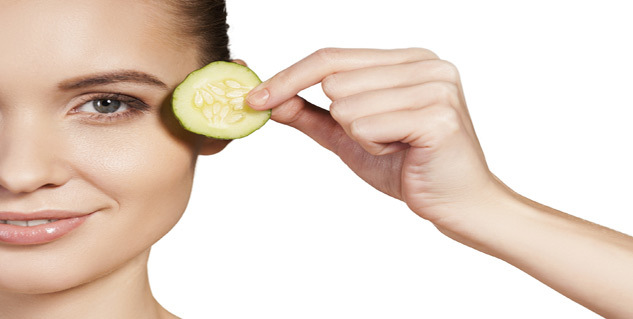 Here are some homemade beauty tips for eyes that will help keep your eyes healthy and pretty. Here is one natural beauty tip for eyes – keep two spoons in the freezer over night. Take them out in the morning and place the spoons' curved backs to your eyes. The spoons will be cold so you will have to do the treatment in intervals. This will help enhance blood circulation and keep your eyes feeling fresh. Dip cotton pads in ice water and apply them to closed eyelids. Keep them in place for 10 minutes. The coldness constricts the blood vessels and makes eyes lighter. The cotton pads should not feel icy but pleasantly cold to make your eyes refreshed. If you are wondering how to get beautiful eyes naturally, egg mask is one effective solution for you. Beat a few egg whites and apply them gently around your eyes. Leave the mask on for 15 minutes before rinsing the face with cold water. The egg mask will make the area around and under the eye feel tight. Grate two cucumbers and squeeze the juice out. Apply the juice with the help of cotton pads and place on darkened areas of the eye. Let the juice sit on the eyelids for 15 minutes. Try the homemade beauty tip for eyes for at least 5 days to get beautiful eyes. Mix a teaspoonful of tomato pulp with a pinch of turmeric powder, half teaspoon of lime juice and 1 teaspoon of gram flour. Apply the paste gently on the eyelids and the dark areas. Keep it for half an hour before removing it gently with moist cotton pads. Do it once a day for at least a week. How to get beautiful eyes? A green tea bag can help you. Soak the tea bag in cold water and apply it to the eyes. Keep it over your eyes for 15-20 minutes. The tannins in the tea will reduce inflammation and keep your eyes bright and healthy. Slice a raw potato and circle the closed eyes with these halves. Place them on the eyes and relax for 15-20 minutes. Dip a cotton pad in chilled milk and place them on the eye lids. Relax for 10-15 minutes. Add few drops of vitamin E oil in a small bowl of chilled water. Dip cotton pads in the bowl for 5 minutes and place them on the eyes. Relax for 20 minutes. Combine a teaspoonful of honey with half a teaspoonful of almond oil. Apply the combination gently on the eyes at bedtime. Try the remedies for a week to see noticeable results. Soak a few almonds overnight. Peel the outer layer in the morning and with a glass of milk, eat the almonds. Do it for at least a month. Soak amla (gooseberry) overnight in water and use it the next morning to wash the eyes. Soak cotton in luke warm milk and cover eyes with it for 15 minutes. Very important part of beauty tips for eyes is your diet. Below are some food options that you must include in your diet to make eyes more beautiful. Carrots – Rich in beta carotene, eating carrots can be helpful in maintaining healthy eyes. Beta carotene is an antioxidant that helps reduce the risk of macular degeneration. Broccoli and brussels sprouts – Vitamin C is crucial for eye health. Broccoli, bell peppers, and brussels sprouts contain a lot of vitamin C to help your eyes stay healthy. Fish foods – Fish foods such as wild salmon and sardines are healthy food options for your eyes, owing to omega-3 fats that protect tiny blood vessels in the eyes. Spinach and sweet potatoes – Both the foods options contain beta carotene to promote eye health. Moreover, spinach contains lots of vitamin C, lutein and zeaxanthin – components that keep your eyes healthy and your vision sharp. Salt – Cut back on salts; a high-sodium diet can cause your skin to retain fluids which may lead to puffiness under the eye area. Make-up products can keep your eyes from looking beautiful. Follow the old adage "less is more". Avoid that make-up, caking on the colors and masks of foundation whenever possible. Drink as much water as possible. 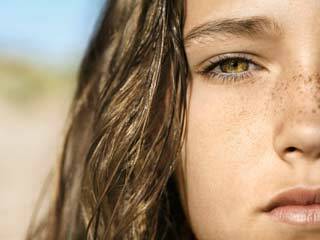 The puffiness of the eyes is sometimes a result of lack of water in the body. Hydrating reduces puffiness and also flushes waste from the body. Therefore, drink a glass of water whenever you notice your eyes are a little droopy. You must do exercises everyday; doing so improves blood circulation. Only when you exercise, your eyes receive enough oxygen to keep them healthy. The best beauty tip for eyes is to get a good night's sleep. 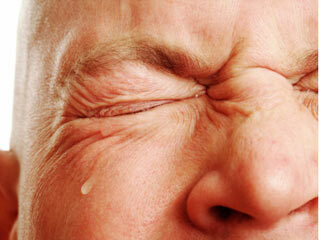 Lack of rest can lead to puffiness and can make the eyes to look tired. Get as much rest as you can in the night. Getting 7 to 8 hours of sleep will not only helps to keep your eyes healthy but whole body functioning at full capacity. 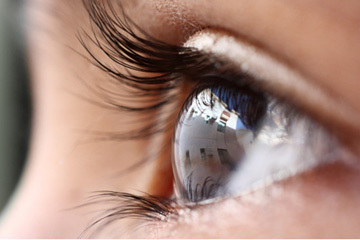 You now know the inexpensive eye care tips that will help you achieve that look. When rest isn't an option, these quick fixes to get beautiful eyes will help you look fresh.